The second park I visited was the one that really inspired me to come to Utah. If you have a version of Windows 7, there is a wallpaper of a sunlit arch in their collection of background images. 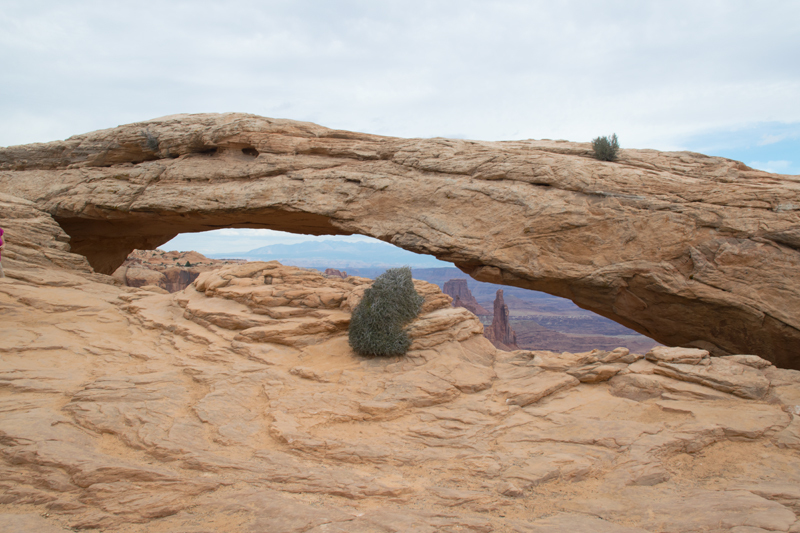 That picture is Mesa Arch, and I was so enthralled with that picture that I decided to visit Utah just to see what I could do. The last photo in the first row is my take on sunrise at Mesa Arch. I had intended to visit the arch at sunrise on my first day, Friday, but the clouds did not cooperate. I visited anyway after a day at Arches so that I could reconnoiter. The arch is much longer than most photos show, but it is the left end of the arch that gives the best view. In the background is a feature called The Washer Woman Arch. On Tuesday, I left my hotel at 5 AM, drove to the arch and arrived at 5:45 - two hours before sunrise! But I was not the first one there. By sunrise at 7:48 AM, there was a line of 12 tripods, and a gaggle of people taking pictures with cell phones. As you can see, I think I got a good shot - my $2000 picture. 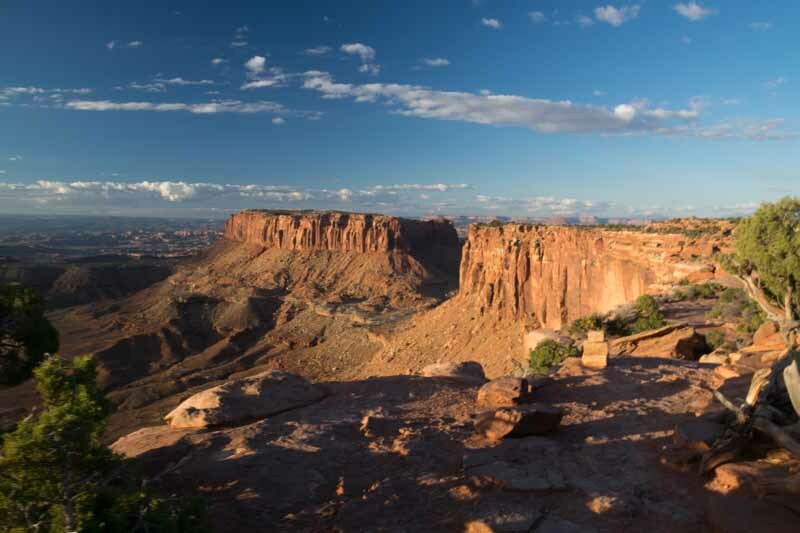 A major feature of Canyonlands is a area called Island in the Sky. At the end of the island is the Grand View Point overlook. 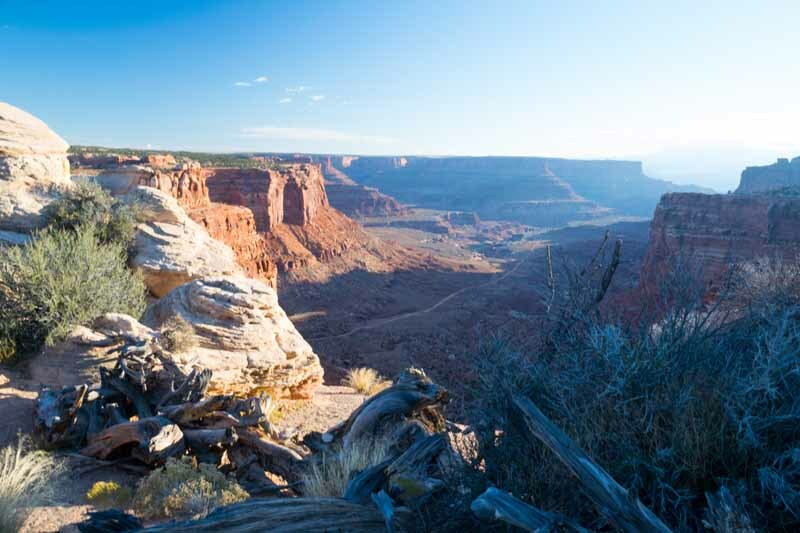 The park extends another 15 miles south of this overlook. 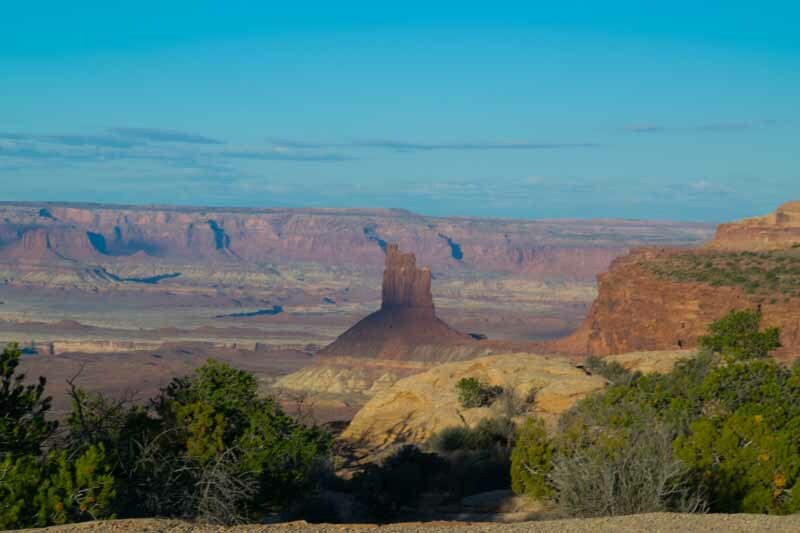 No matter where you go, there always seems to be a mesa in the background. This is the Shafer Canyon overlook. If you look closely, there is a road at the bottom of the canyon. 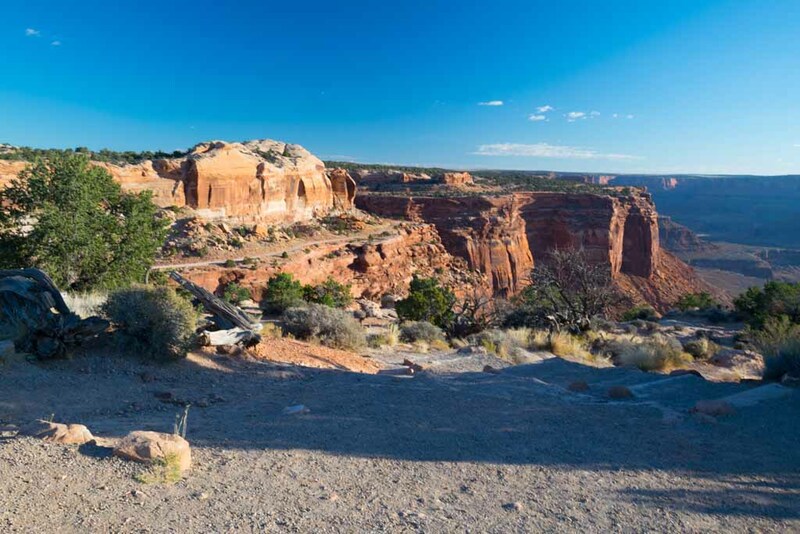 To get to the bottom, you need to enter the trail at the top and - as the brochures say - if you have nerves of steel and a 4-wheel drive vehicle, you can drive to the bottom of the canyon. Needless to say, I had neither! 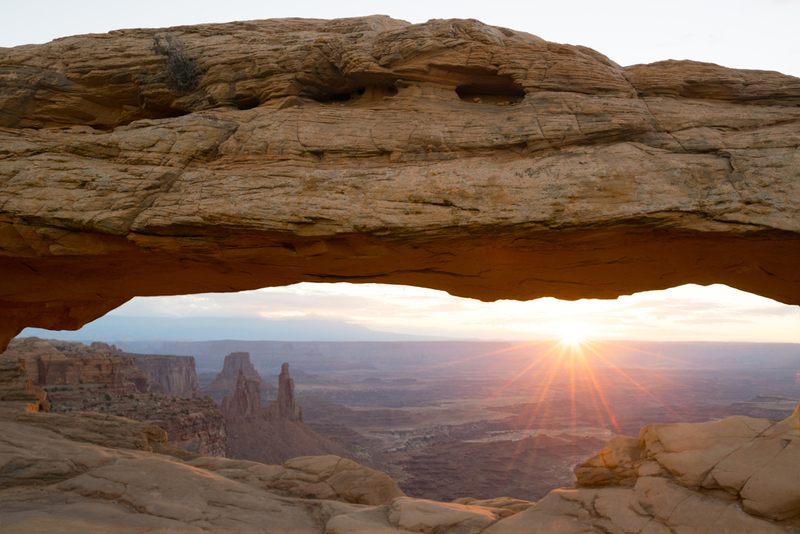 After a morning at Canyonlands, I decided to drive south to the next picture, and along the way I passed- you guessed it - another arch. 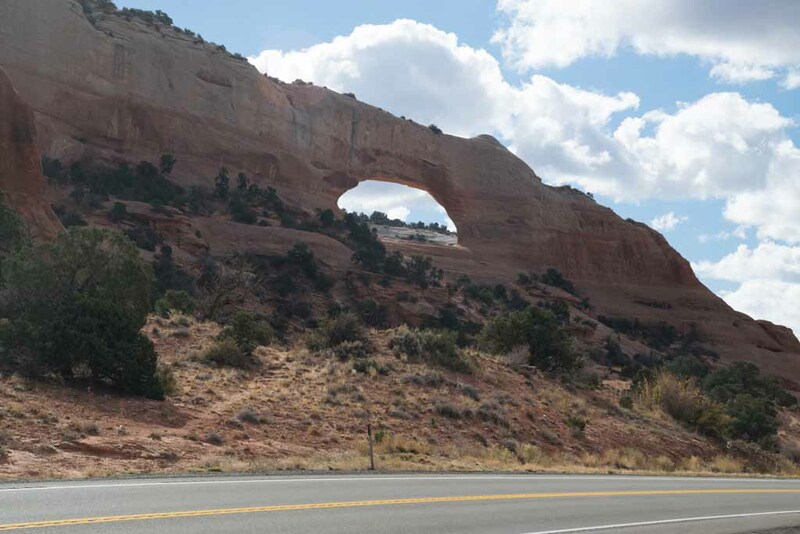 This is Wilson Arch, and is right beside the road. After an hour's drive, I got to Newspaper Rock Historical area. 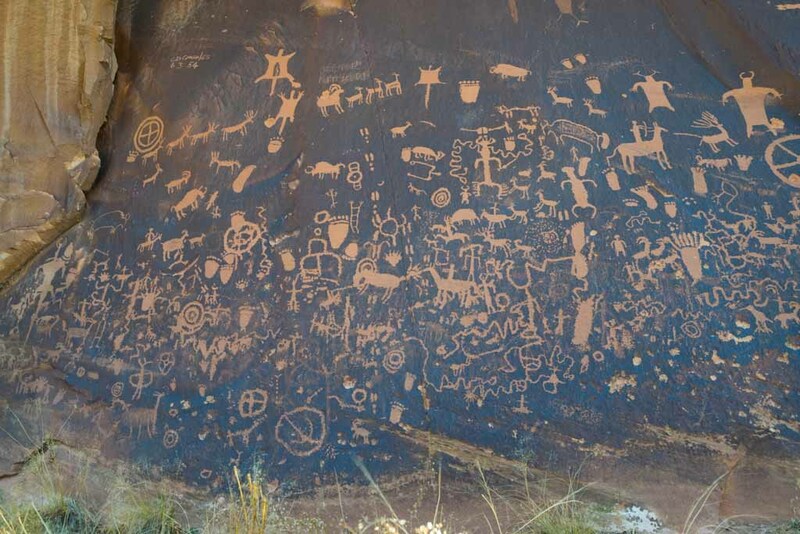 This is a Utah park, and the name comes from the ancient (and unfortunately) not-so-ancient petroglyph's on a sheltered rock-face. 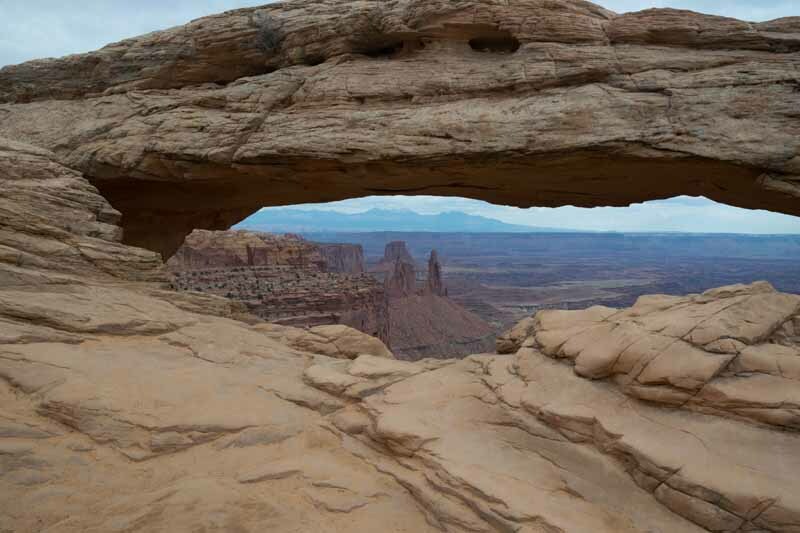 There is a lot more to see at Canyonlands, but it is spread out over a much larger area, with fewer sights along the two paved roads. But for me, it was all about Mesa Arch.